Contra Costa County Sheriff's Department rescues a calf that was stuck in a trunk. This isn't your ordinary animal stuck in a tree type of story. 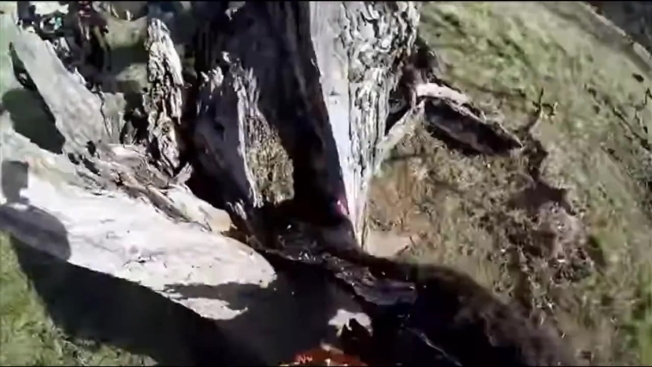 A Contra Costa County Sheriff's Office helicopter crew last week freed a calf that somehow managed to get its head stuck in a decomposing tree. The helicopter crew was training at the Round Valley Regional Preserve near Los Vaqueros Reservoir in the eastern portion of the county when the pilot spotted the odd sight of a calf with its head trapped in a tree, according to the sheriff's office. This isn't your ordinary animal stuck in a tree type of story. 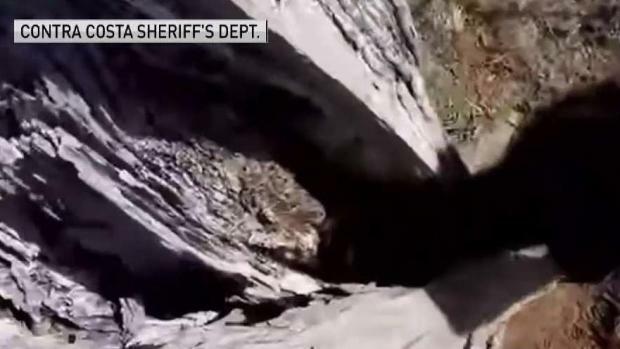 A Contra Costa County Sheriff's Office helicopter crew last week freed a calf that somehow managed to get its head stuck in a decomposing tree. Two members of the helicopter crew eventually hopped out of the aircraft and walked over to the struggling calf. They quickly yanked off some of the tree's deteriorating trunk, allowing the animal to escape. "Yay!" the two rescuers could be heard saying in a video that documented the account. "There you go!" In celebration of their efforts, the crew members shared a high-five as the calf scampered away. It is not clear how long the calf was stuck in the tree.